Brusca is Latin for firewood. Bruscare means "to grill/toast over wood coals". 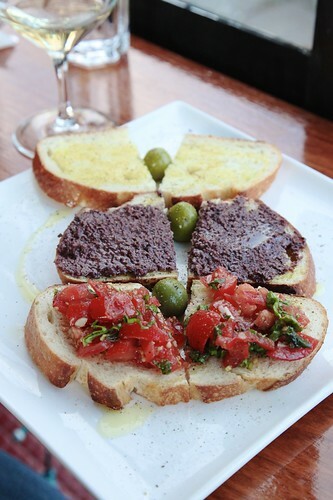 Bruschetta, then, is an Italian toast-based dish—pronounced, of course, as "brusketta". Anyway. We were in Vino Rosso. It was yummy.